Nokia's N97 is the UK's most recycled smartphone, despite only being released earlier this year. Sellmymobile.com has sent us some interesting stats about which phones consumers are most keen to cash in on, and the Nokia N97 is the only smartphone in the top 20. The next best, the iPhone 3G, can only rank in at number 21, and its younger brother, the iPhone 3GS (arguably a competitor to the Nokia N97) isn't even in the top 50. 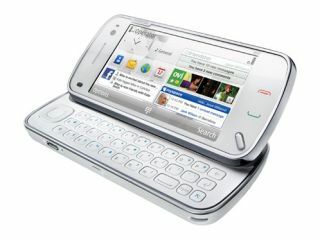 HTC and the Android tribe will also be chuffed to hear that consumers are hanging on to Google OS phones, as these join the iPhone 3GS outside the top 50. The N97 has debuted to mixed reviews, but it's not just the fact some can't wait to get rid of the phone - the mobile apparently holds its value well. Keir McConomy, MD, SellMyMobile.com, said of the popularity of recycling Nokias: "The value of a typical mobile will maintain a consistent price for a 9-12 month period before we begin to see it really decrease, or at the very least until a new upgrade of the same model is announced by a handset manufacturer. "However, we have noticed there are some brands in particular which really seem to hold their value more than most, the runaway leader of which being Nokia. The N95 for instance can still fetch up to £119 for an old handset, despite being two years old. "Smartphones such as the iPhone, Palm Pre and HTC Touch HD will also hold their value for a longer period of time. Manufacturers that don't offer the same smartphone devices, such as Motorola in particular, will tend to see their devices depreciate in value much quicker. "In short, it's less about the brand you buy, but more about the features a phone boasts and the mass market popularity of that handset." Sellmymobile.com, recently launched in the UK to allow users to compare prices of phones they want to get rid of over 12 such sites, with more to come in the future.